You may think being under 21 and having a fake ID is just a rite of passage; we all did it, right? Wrong, in the State of Florida unauthorized possession of and other unlawful acts in relation to driver license or identification cards can be punishable under Sections 322.212 and 322.32, Florida Statutes. Fake IDs include any identification that has been altered in any way, forged, or unlawfully manufactured. It is unlawful to display, or have in your possession any canceled, suspended, fictitious or fraudulently altered driver’s license. Many people, instead of creating a fraudulent ID, just use someone else’s who is of age. This is a crime, it is unlawful to allow a sibling or a friend to loan their driver’s license or identification card to someone to get into clubs or bars. In this instance, the younger friend may be charged with possession of the license, but also the friend who loaned the Fake ID to them could also be charged. This unlawful use and loaning of a license is a second-degree misdemeanor under Section 322.32, Florida Statutes. Creating an ID that’s completely fake to avoid this charge is not a good idea though. It is a third-degree felony under Florida Statutes, 322.212, to knowingly have in your possession a blank, forged, fake, stolen or counterfeit driver’s license or identification. More simply put it is a third degree felony to have a “fake ID” made with your name, photograph, and address just changing your date of birth in order to get into bar or night club as 21; a “fake ID” specific to you. Possession of a “fake ID” whether you’re using it or just carrying it around in your wallet is a serious crime with criminal charges that can have a lasting impact on your future. Do we see this type of arrest occur on college campuses? Yes! If you are trying to get into a bar with a “fake ID” typically the bouncer will just take it from you. However, many times law enforcement pull you over for another reason and as they watch you comb through your wallet for your valid ID they see your “fake ID” too. Police officers are not so lenient, because the Florida Legislature is trying to shut down the manufactures of these “fake IDs.” It is important to know the Fake ID Florida law. The law is targeted at those that USE these “fake IDs,” and those students most likely have no idea they are actually committing a felony (for possessing it on a Wednesday afternoon after class; or while trying to use it to get into a bar or night club). A night of drinking, is never worth the punishment you could receive. A third-degree felony such as holding a fraudulent created ID, can land you up to five years in prison and/or up to a $5,000 fine under Sections 775.082 and 775.083, Florida Statutes. 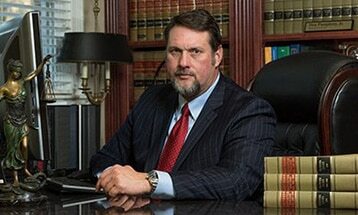 Our attorneys are experienced in fighting “fake ID” cases, and will work hard to defend your rights. Call our office today at 850/681-7777 to set a free consultation.